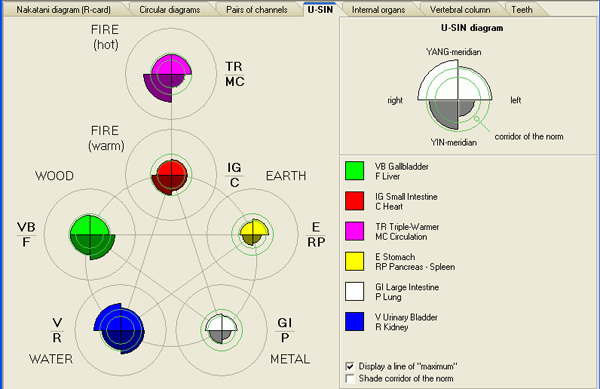 The new program Peresvet Nakatani became the third in the group of acupuncture techniques along with the methods of diagnostics by R. Voll and the multi-factorial auricular diagnostics (MFAD). This is, perhaps, one of the most recognized electropunctural methods, which allows evaluating the state of meridian system of human. 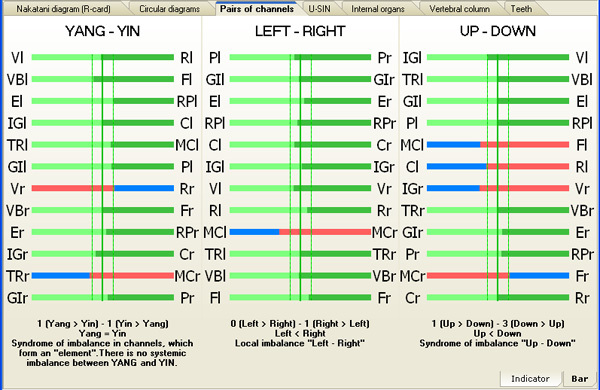 Only traditional Chinese pulse diagnosis can be considered as unconditional alternative of Nakatani method. But the method Japanese doctor Y. Nakatani requires significantly less time to train, easy to use and fairer. Method Nakatani (test Ryodoraku) is easy to assimilate and allows for a short time to obtain general information about the health of the patient - the diagnostic examination is about 5-7 minutes. Program Peresvet Nakatani relies on the guidelines and requirements set out in the methodical recommendations of the Ministry of Health of Russian Federation No. 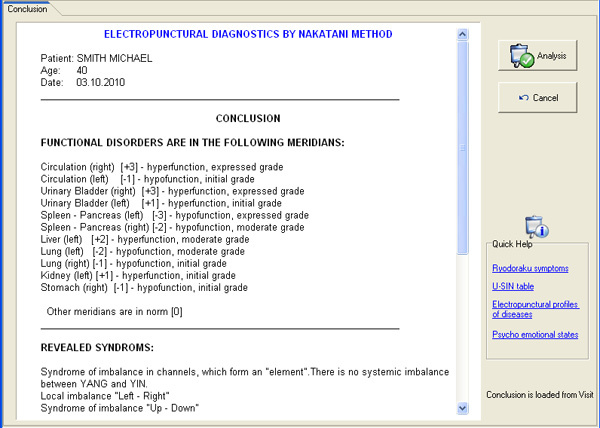 2002/34 "Electropunctural diagnostics method by Y. Nakatani". It also uses an experience of leading national experts in this field: A.T. Neborsky, M.V. Teppone, I.V. Boytsov. Electropunctural diagnostics by Nakatani uses for an integrated assessment of the functional state of acupuncture meridians, organs and body systems, dynamic health monitoring, individual plan of treatment and evaluation of its effectiveness. 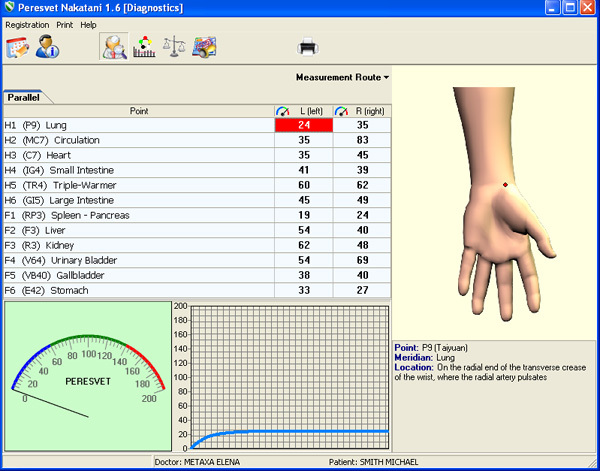 Diagnostic unit (device and software) realises measurement of 24 representative points located in the wrist and ankle joints. The results of diagnostics are inserted in the R-card (RyoCard) proposed by Y. Nakatani. Peresvet Nakatani offers other forms of presentation of results: the pie charts, diagrams U-SIN, tables, histograms, phantom of internal organs and teeth. 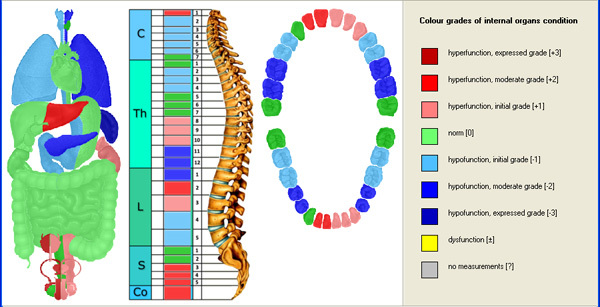 The result of diagnostic examination (test Ryodoraku) is to define the functional state of meridians, which correlates with the state of internal organs, tissue, pockets in the process meridian (joints, iron, etc. 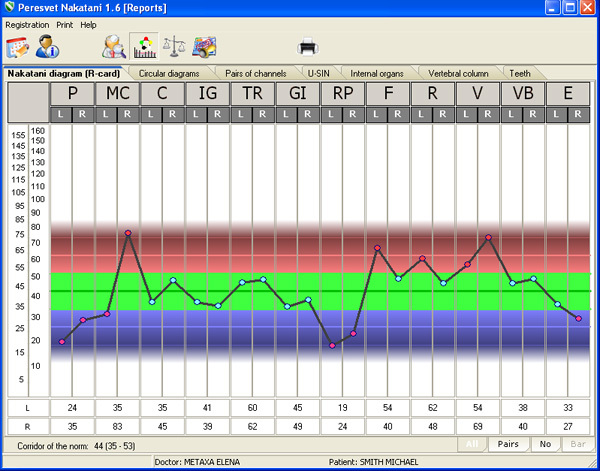 ), sensory, mental and emotional condition of the patient. 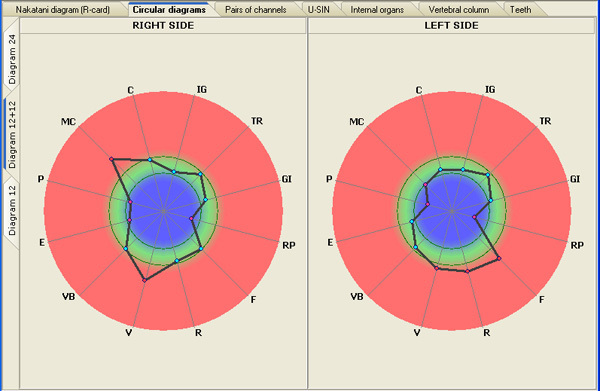 These form energofunctional status of the patient with the clinical interpretation of the detected changes. Recommendations for treatment related with the use of electrostimulation and Quantum therapy.